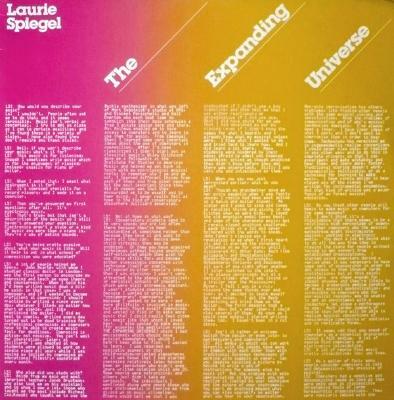 Laurie was a pioneer of early computer based composition, and came out of the New York experimental scene in the early 70s. This album was composed between 1974-76 using a computer playing the actual sounds by controlling analogue synthesis equipment using the GROOVE (Generating Realtime Operations On Voltage controlled Equipment) hybrid system which was developed by Max Matthews and F.R. Moore at Bell labs. Interaction with the computer was through a keyboard, a drawing tablet, pushbuttons and knobs, as well as complex algorithms written in FORTRAN. The music itself is beautiful and complex, and must have taken so long to put together using the room-sized computer at Bell Labs.